To find where to stay, maps, reviews, and tourist information, read Santa Cruz trip planner . Petaluma to Santa Cruz is an approximately 2-hour car ride. In March, daytime highs in Santa Cruz are 66°F, while nighttime lows are 45°F. Wrap up your sightseeing by early afternoon on the 20th (Wed) to allow enough time to drive to San Luis Obispo. San Luis Obispo, or SLO for short, is a city in the U.S. To see ratings, reviews, photos, and other tourist information, use the San Luis Obispo travel planner . You can drive from Santa Cruz to San Luis Obispo in 3 hours. Alternatively, you can take a bus; or do a combination of shuttle and flight. Expect a daytime high around 71°F in March, and nighttime lows around 48°F. Wrap up your sightseeing on the 21st (Thu) early enough to drive to Pismo Beach. For maps, reviews, where to stay, and other tourist information, use the Santa Barbara holiday planner . Getting from Pismo Beach to Santa Barbara by car takes about 2 hours. Other options: take a bus; or take a train. In March, plan for daily highs up to 69°F, and evening lows to 48°F. On the 22nd (Fri), wrap the sightseeing up by early afternoon so you can drive to Big Sur. To find traveler tips, where to stay, reviews, and tourist information, refer to the Big Sur trip planner . Traveling by car from Santa Barbara to Big Sur takes 5.5 hours. Alternatively, you can do a combination of bus and flight; or fly. Traveling from Santa Barbara in March, you will find days in Big Sur are a bit cooler (64°F), and nights are about the same (47°F). You will leave for Monterey on the 23rd (Sat). 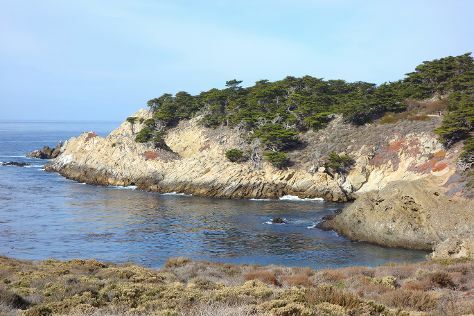 Monterey is a city in the U.S. To find more things to do, other places to visit, maps, and tourist information, go to the Monterey tour itinerary planner. You can take a bus from Big Sur to Monterey in an hour. Another option is to drive. In March, daytime highs in Monterey are 64°F, while nighttime lows are 47°F. Cap off your sightseeing on the 23rd (Sat) early enough to travel back home.